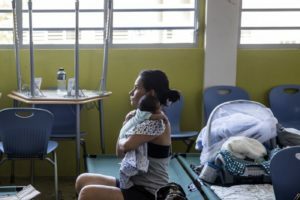 Hurricane aid is on its way, but the U.S. seems unwilling to tackle the island’s long-term problems. Federal aid is being mobilized, but that won’t even restore the pre-storm state, which was already fiscally insolvent. Nydia Velazquez, a representative from New York, will be requesting a one-year waiver from the Jones Act, a federal law that requires cargo shipments to Puerto Rico take place on U.S. vehicles. The act was originally intended to help the U.S. shipping industry, but it raises prices in Puerto Rico by raising costs. A one-year waiver is better than nothing, but it’s sad we cannot repeal the Jones Act altogether, or at least permanently exempt Puerto Rico. It’s a sign of how little we are willing to budge to solve what is a catastrophic problem for 3.4 million Americans. Sending external aid for life support is a fundamentally different endeavor than seeking to restore and then boost sustainable growth. Are we really ready to write off Puerto Rico? That this story hasn’t dominated the headlines unfortunately suggests the answer is yes. We’re looking at a future where Puerto Rico has simply ceased to be an independently viable economic unit. In addition to the well-being of Puerto Ricans, at stake is what kind of nation the U.S. is going to be. Do we respond to major challenges, or run away from them? I expect to see American generosity toward Puerto Rico’s storm recovery, but unfortunately very little engagement with this more fundamental question.